Fisherman's Wharf is to San Francisco what La Rambla is to Barcelona. An iconic tourist attraction and neighborhood of San Francisco, California, it is full of life and culture. There were street performers here too. And a lot of tourists from all over. It encompasses the northern waterfront area of San Francisco from Ghirardelli Square or Van Ness Avenue to Pier 35. 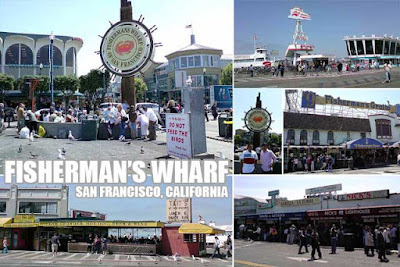 Attractions within Fisherman's Wharf include Pier 39, San Francisco Maritime National Historical Park, the Cannery Shopping Center, Ghirardelli Square, Ripley's Believe It or Not Museum, the Musée Mécanique, the Wax Museum at Fisherman's Wharf, and Forbes Island. 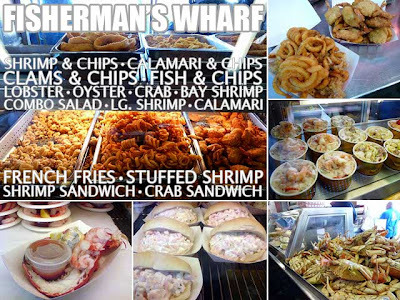 One reason to come to Fisherman's Wharf is for the food! And I asked my classmate Armand to pick his favorites at Fisherman's Wharf. First on our list of things to taste is the clam chowder of Boudin which is served in a sourdough bread bowl. There are a lot of stalls which sell clam chowder but they say Boudin's is the best. After having our hearty soup in Boudin's outdoor kiosk, we went to the food stands by the restaurant row to check out the fresh seafood, mostly shrimp & crab snacks. Most notable of the delicacies here is the Dungeness crab. We got servings of breaded shrimp & chips and calamari and chips. 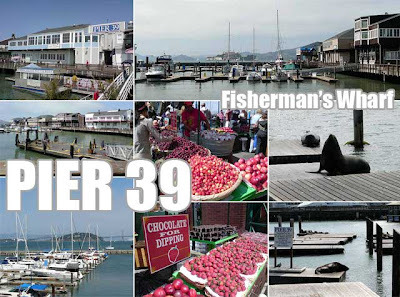 From the restaurant area, we walked towards Pier 39, a shopping complex that was built on a pier. 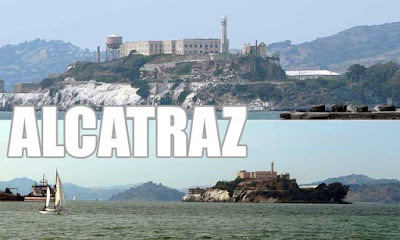 Along the way, you'd notice a lot of street performers, cruise lines leaving for a trip around the bay, and a great view of Alcatraz, the Golden Gate Bridge and the Bay Bridge on the other side of Pier 39. The character of the buildings of Pier 39 fit a particular theme, very American. I wonder if these are old buildings adaptively-reused. It would have been fun to explore the shops and the restaurants. But we didn't have much time. One thing which caught my attention were the fruit stands near the entrance. You can also check out the stage in Pier 39 which plays host to free performances by tricksters, magicians, jugglers, comedians and mimes. And don't miss the sea lions resting in Pier 39's K Dock. Hehe! Di mo man lang ako hinintay bago ka umuwi! yup exactly 2 days after i left frisco, you came! hehe sayang. Ikaw kase ang dame mong itenerary sa U.S. kung san sang coast! Paanong madami? I only stayed in one state for most of my stay! Haha!